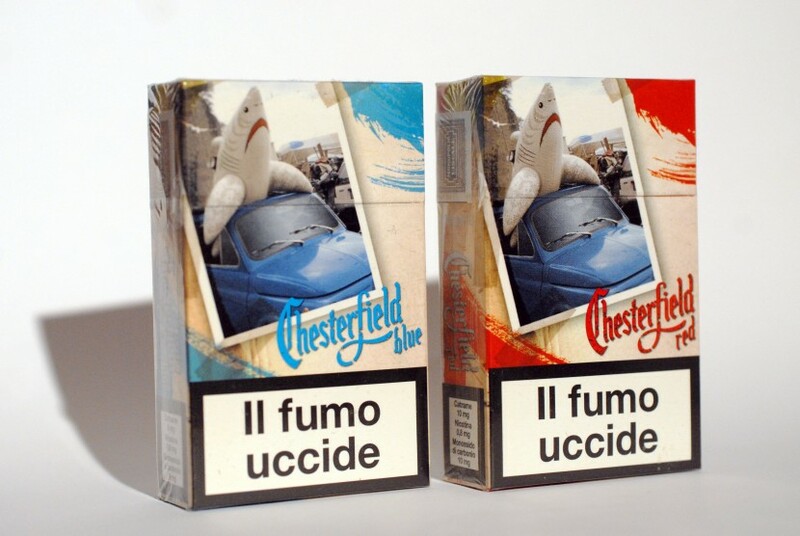 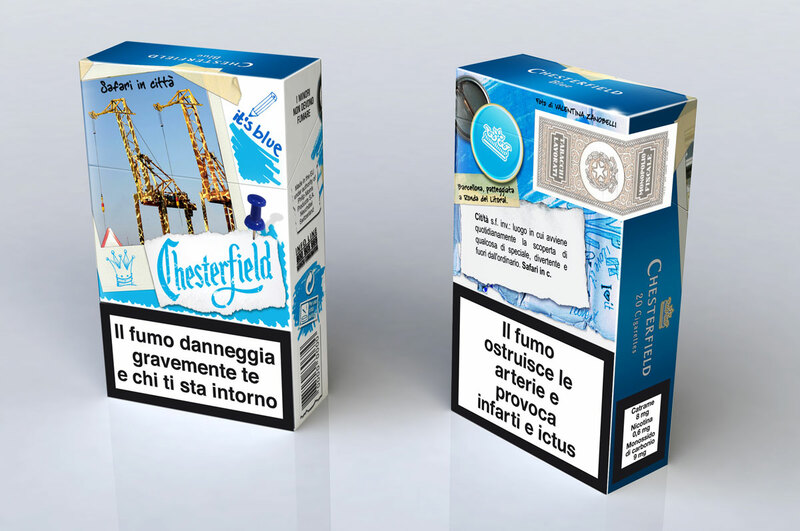 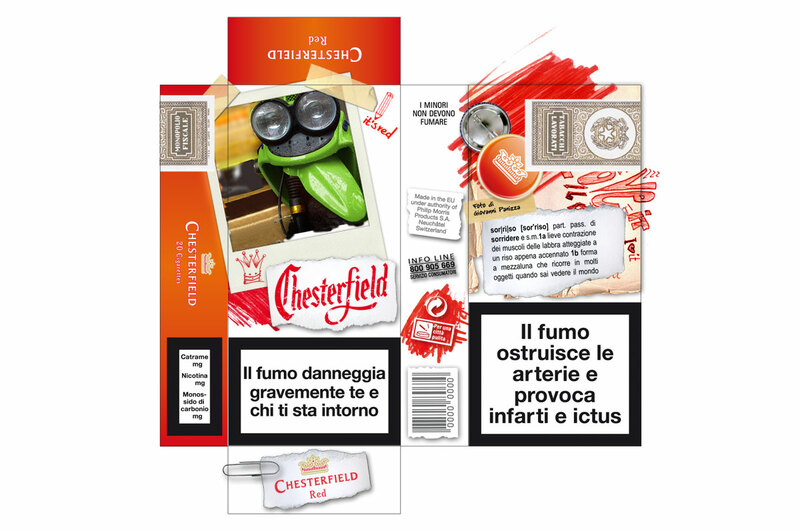 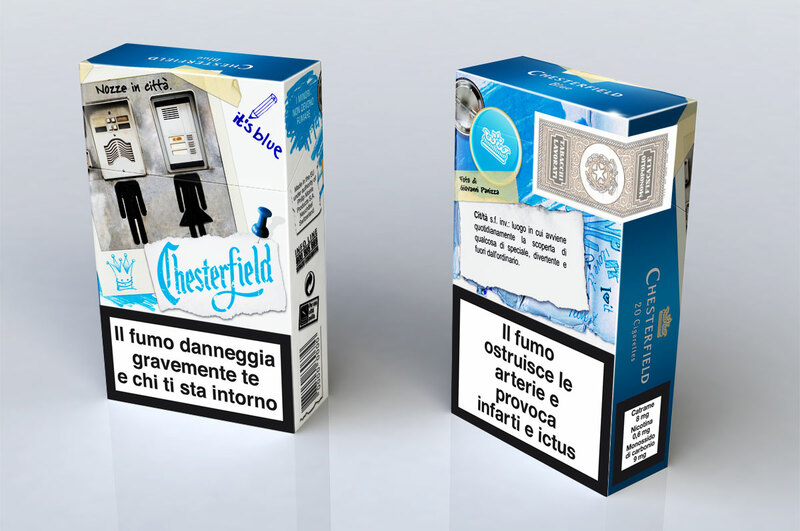 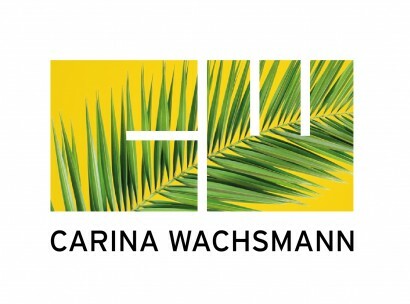 In 2009 Chesterfield Italy launched a wave of SPECIAL EDITION packages of their cigarettes. 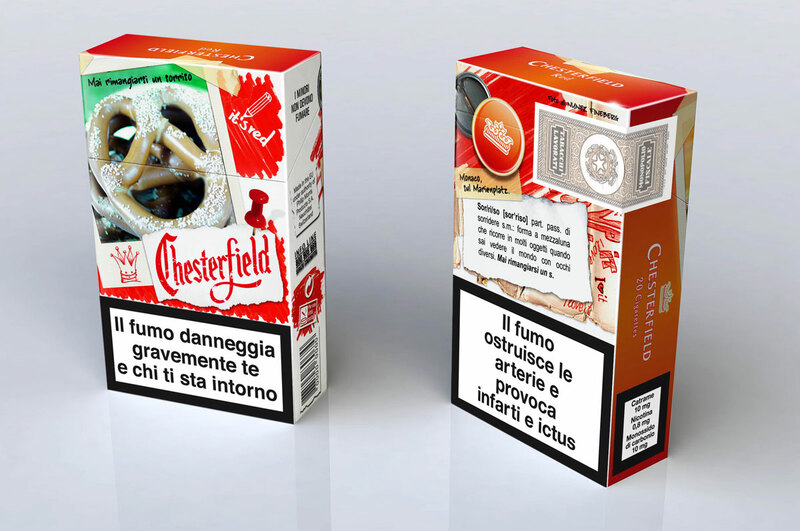 The idea was to give a chance to young photographers seeing their pictures printed on a cigarette package of Chesterfield. 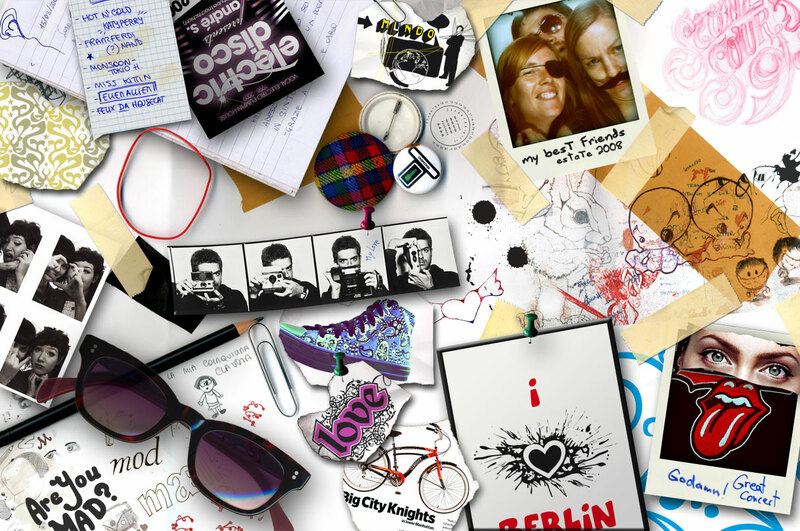 The theme was to capture funny and curious things in your city. 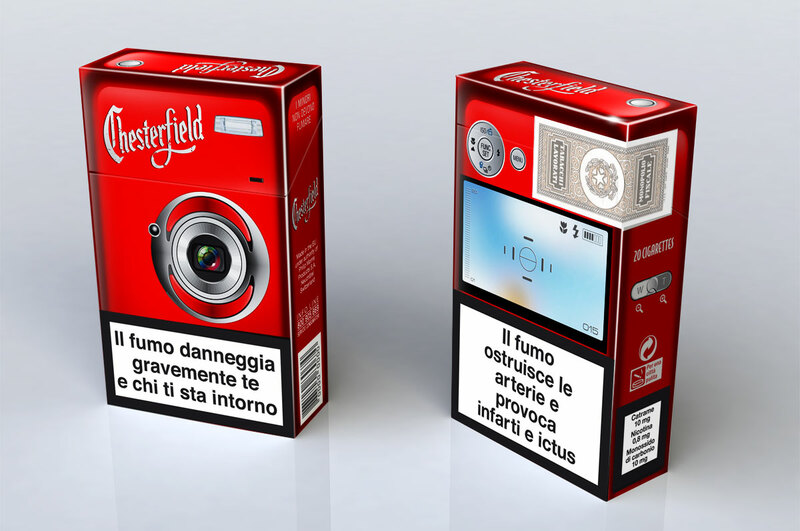 Each package was personalised with an edgy, urban style and a few funny lines describing their photo and its subject.